Allison Donovan Watertown Public School’s K-8 Literacy Coordinator and long-time educator, died after being hit in a hit-and-run incident. Allison Jane Donovan, a woman who devoted her life to nurturing children as a teacher and administrator, passed away tragically on Friday night, February 8, 2019.She was 40 years old. Allison was born in Cambridge, the daughter of Richard and Janice Donovan.She grew up in Burlington and had resided in Somerville for the past 15 years.She was a member of the Burlington High School Class of 1996 where she excelled as a student and as a member of the gymnastics team. Allison’s mother, Janice, was a strong role model for her.Janice was a teacher in the Burlington School system for many years.Allison went to her mother’s alma mater, Lesley University, where she earned her Bachelor Science Degree in Education, Master’s Degree, and Graduate Certificate in Literacy for the Classroom. Like her mother, teaching was her passion, her life, and her love. She spent 12 years as an elementary education teacher at the Hosmer Elementary School, Watertown, teaching at various grade levels. She then spent 2 years as the Watertown Elementary Curriculum Coordinator. 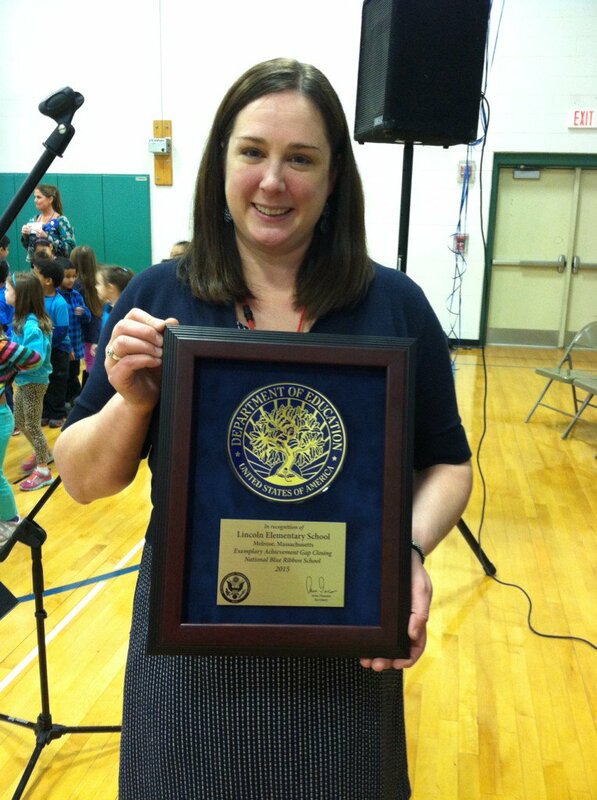 She then acted as the interim principal of the J. R. Lowell Elementary School, Watertown from 2014-2015 which led to her becoming the principal at the Lincoln Elementary School in Melrose from 2015-2017. She enjoyed her position as principal, but felt her calling was not as an administrator of a school but more as a teacher, mentor, and education advocate. So she returned to the Watertown School system in 2017 as the K-8 literacy and Title 1 Coordinator. It was in that role that she was destined to be. She cared deeply about the success and wellbeing of all teachers and students with whom she worked.As a curriculum coordinator, she could give her fellow teachers the tools to give their students a strong foundation upon which they can build upon as students. She was not just helping one class or school, but all the students in the Watertown school system. She was also a coach for the Destination Imagination Club as well.Destination Imagination gave students the opportunity to compete in local, regional, and nationalcompetitions in which students learn problem solving, teamwork, and creativity skills.Nothing made Allison happier when she would see children excited about a topic being discussed, wanting to learn more, and seeing their eyes light up because they understood a subject. Allison received so much joy as a teacher and administrator and her spirit will live on in the teachers and students whom she stimulated and helped form a strong educational foundation required to help children progress as students and young adults. Allison embraced life as well.She loved being outdoors.She was an avid hiker and trekked many of the local trails like Spy Pond and Sheepfold with her beloved dog, Eli.She also enjoyed more adventurous hiking and rock climbing in the Acadia National Park and other challenging locations.She loved to travel, with warm weather destinations being her vacation of choice. She was a loving daughter, sister, aunt, and friend. She was the honorable “auntie” to her friend Kara’s two children, Luca & Sienna.Spending time in any fashion with those she loved was something she cherished.She lived her life giving of herself to others and her legacy will live on in so many of us who have benefited from her collaborative leadership, rich expertise, warmth, kindness, concern, and love that she bestowed upon all those who touched her in any manner. Allison was the beloved daughter of Richard Donovan & his wife Donna of Billerica, formerly of Burlington and the late Janice (Carroll) Donovan. She was the loving sister of Mark Donovan & his wife Maria of Stow, Melissa Joyce & her husband Jason of Sterling and the late Paul Richard Donovan. Niece of Neil and Edwina Carroll of Malden.Cousin of Lisa, Lynn, Denise, and Bobby.She was the lifelong friend of Kara Aspetti of Somerville. She was the stepsister of James Sweeney & his wife Kara and Kathy Sweeney all of Billerica.Allison was also survived by many nieces, nephews & friends. Visiting hours will be held at the Edward V Sullivan Funeral Home, 43 Winn St., Burlington (Exit 34 off Rt. 128/95 Woburn side) on Wednesday, Feb. 13 from 4-8 p.m.A Mass of Christian Burial will be held at St. Margaret’s Church, 111 Winn St., Burlington on Thursday, Feb. 14 at 3:30 p.m.Burial will be private. In lieu of flowers memorials in Allison’s name may be made to Watertown High School Scholarship Program for the Allison Donovan Memorial Scholarship, care of Watertown Public Schools, Business Office, 30 Common Street, Watertown, MA, 02472.